A potent antioxidant-rich fruit enzyme mask designed to eliminate dead skin build up and dissolve excessively peeling skin. This product is perfect to use post all in-clinic procedures. 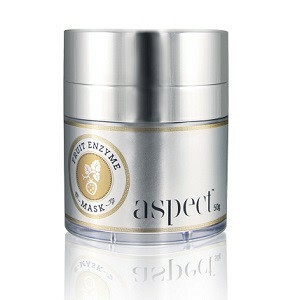 Gentle exfoliation, with antioxidant protection, the Fruit Enzyme Mask also moisturises, smoothes and calms. Can be used post peel and post all in-clinic procedures to address flaking skin. water, butylene glycol, aloe barbadensis leaf extract, carbomer, papain, biosaccharide gum – 1, terminalia ferdinandiana (kakadu plum) fruit extract, camellia sinensis (green tea) leaf extract, citrus grandis (grapefruit) seed extract, ananas sativus (pineapple) fruit extract, vitis vinifera (grape) fruit extract, coffee arabica (coffee) extract, emblica officinalis (amla) fruit extract, euterpe oleracea (acai) extract, lycium chinense (goji berry) extract, myrciaria dubia (camu camu) fruit extract, punica granatum (pomegranate) extract, vaccinium macrocarpon (cranberry) extract blend, retinyl palmitate, tocopheryl acetate, ascorbic acid, cyanocobalamin (vitamin B12) panthenol, phenoxyethanol, ethylhexylglycerin, sodium hydroxide.